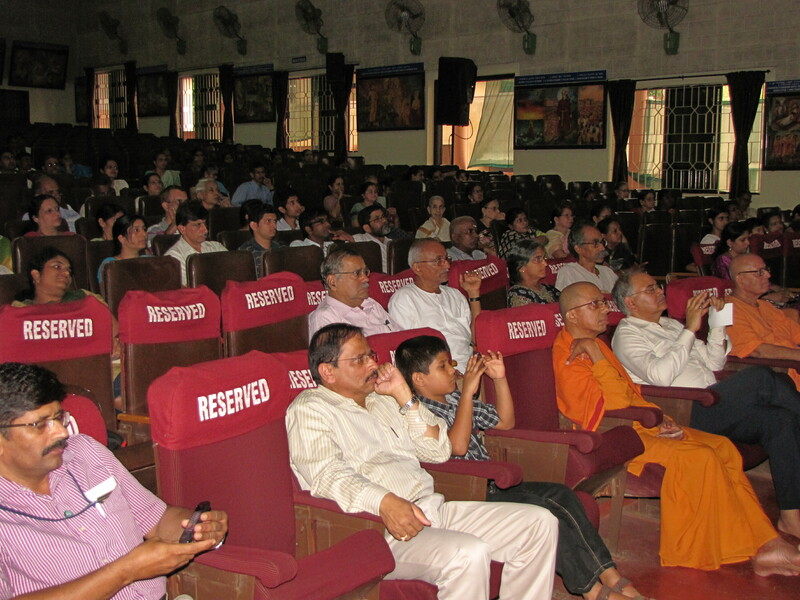 The composition “Dooje Ke Sang Naahi Javu Ji”, a song where a disciple says he finds salvation by following his teacher, turned out to be apt to convey the mood of the audience hearing the presentation of Pandit Bhuvanesh Komkali. 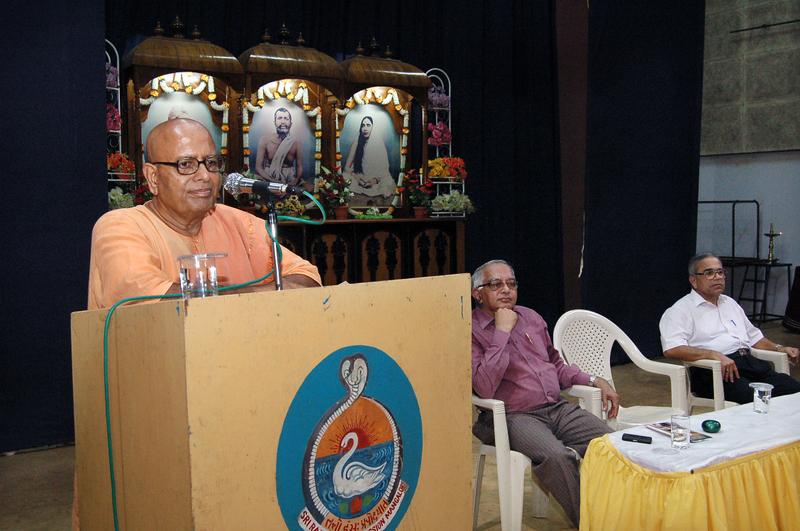 Being the last song of his hour-long programme at the Ramakrishna Mission here on Saturday, this song took the audience back to the style of the legendary Kumar Gandharva, who is Pandit Bhuvanesh Komkali’s grandfather, who earned famed with his unique and soulful rendition. 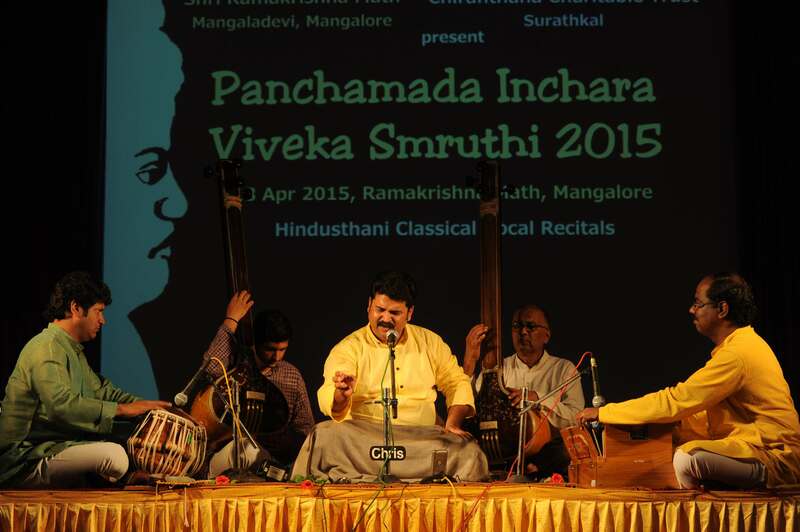 With his rendition, Pandit Bhuvanesh Komkali took it to a new level that was in line with the rich tradition of his grandfather and father Mukul Shivaputra. 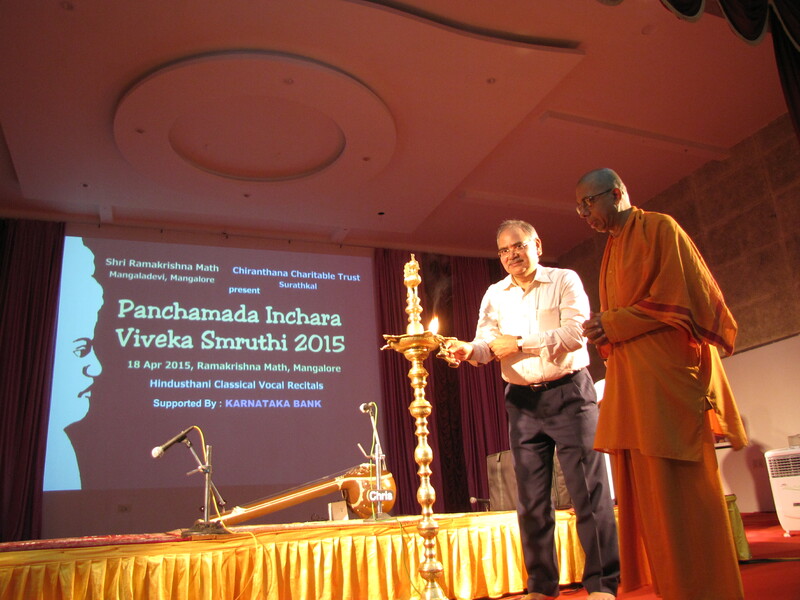 Pandit Bhuvanesh Komkali’s concert was one of the two programmes held as part of “Panchamada Inchara” held jointly by the Ramakrishna Mutt and the Chirantharan Charitable Trust. 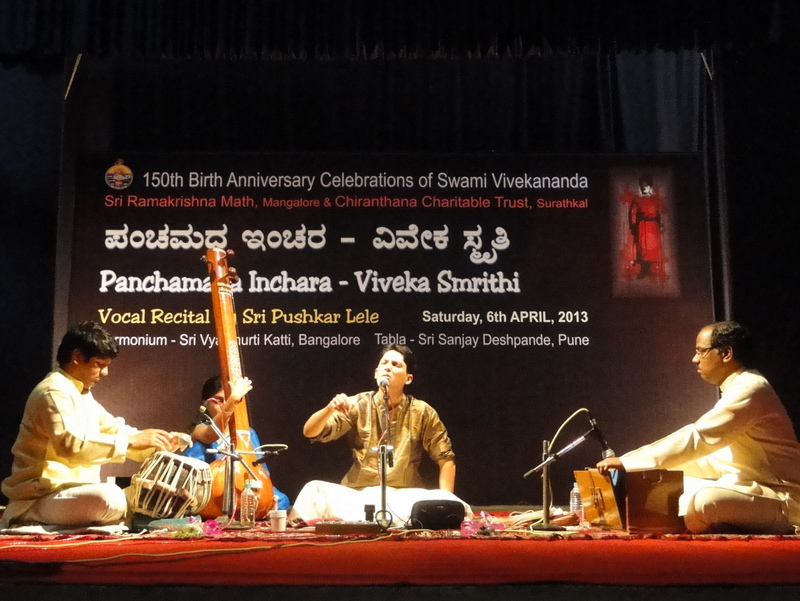 Pandit Bhuvanesh Komkali began his concert with the composition “Dhoondha Baare Saiyan” set to vilambit teen tal in Raag Naand. 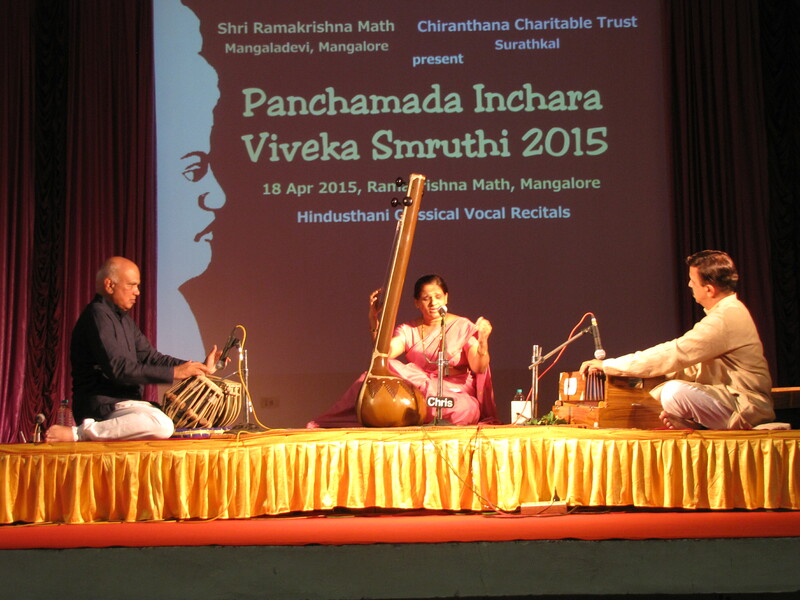 This was followed by the traditional composition “Ajahun Na Aaye Shyam” set to teen taal. 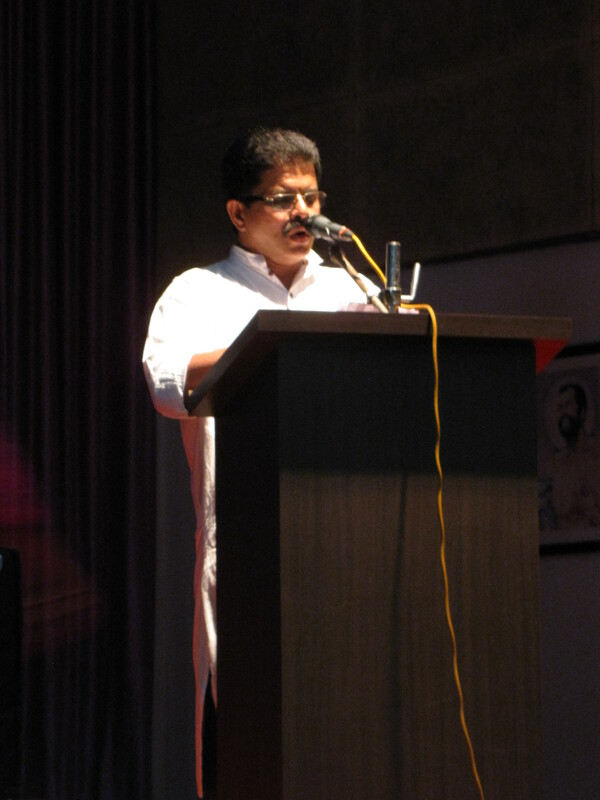 He also presented composition “Aja Perile Gori” set to teen taal in Raag Gauri Basanth. 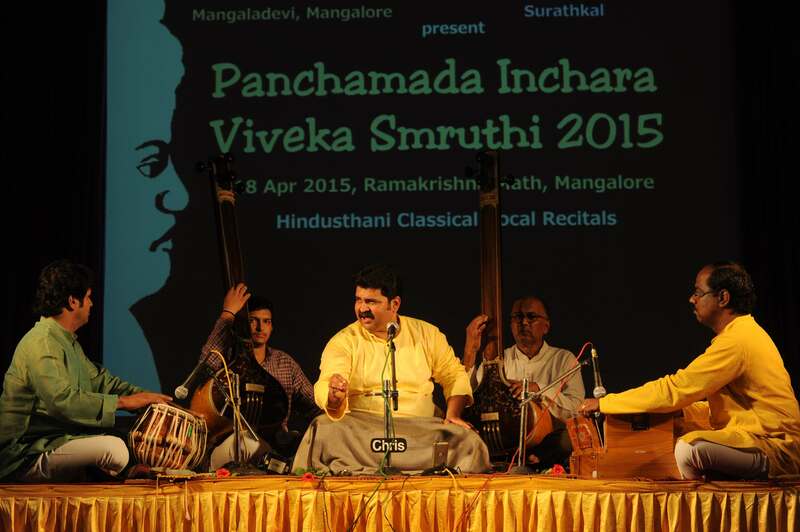 It was in his rendition of two Nirguna Bhajans that brought the audience to a crescendo. 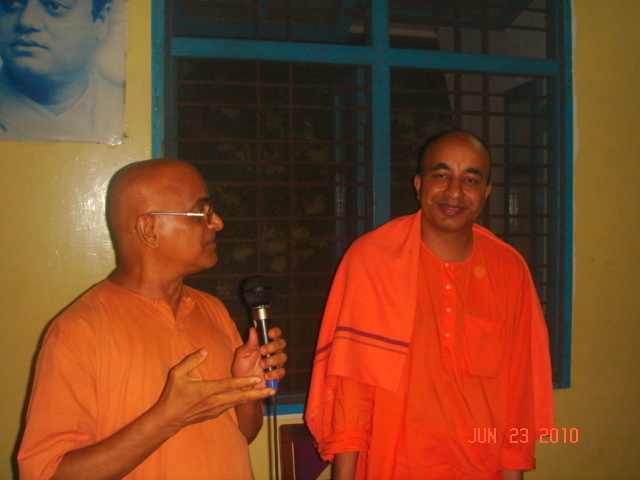 The first was the Kabir bhajan “Ram Niranjana” that was followed by the Gorakhanath bhajan “Dooje Ke Sangha Naahi Javu Ji”. 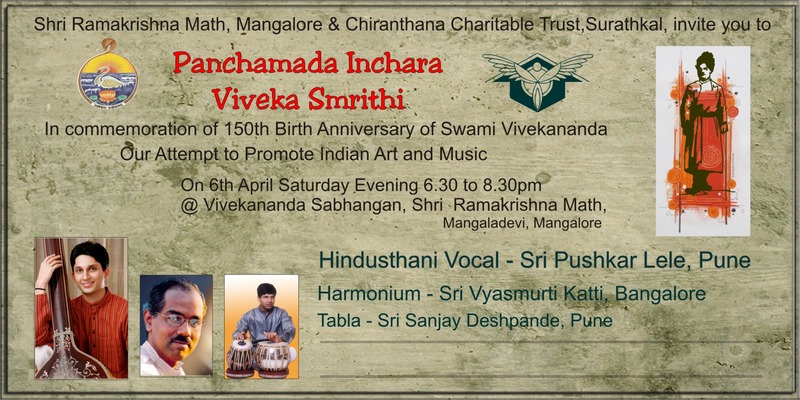 With their subtle style of presentation, Pandit Vyasamurti Katti on the harmonium and Pandit Sanjay Deshpade on the tabla gave good support to the singer. 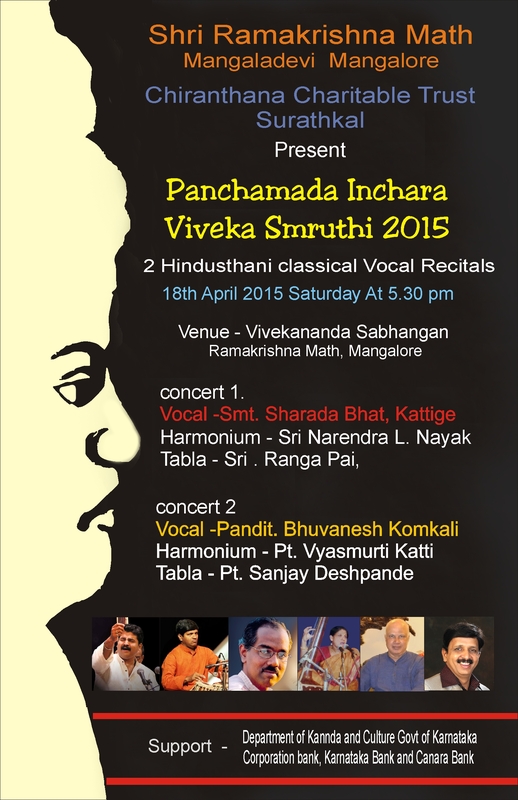 In the first concert, Sharada Bhat Kattige presented “Birha Ki Raat” set to Vilambit ektaal in Raag Madhuvanti. This was followed by “Tum Bina Mora Jiya Nahi Lage” set to Drut teen taal. 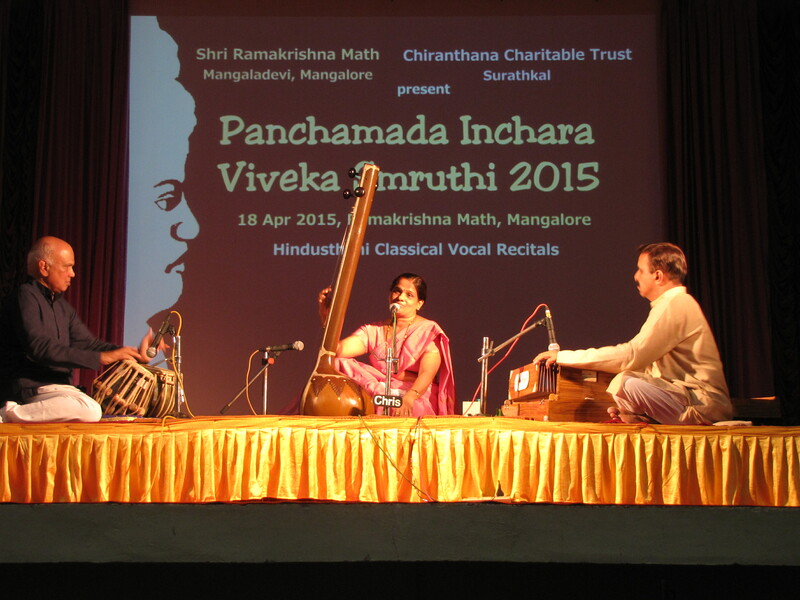 She ended her concert with “Jaya Janani …” set to Raag Poorvi. 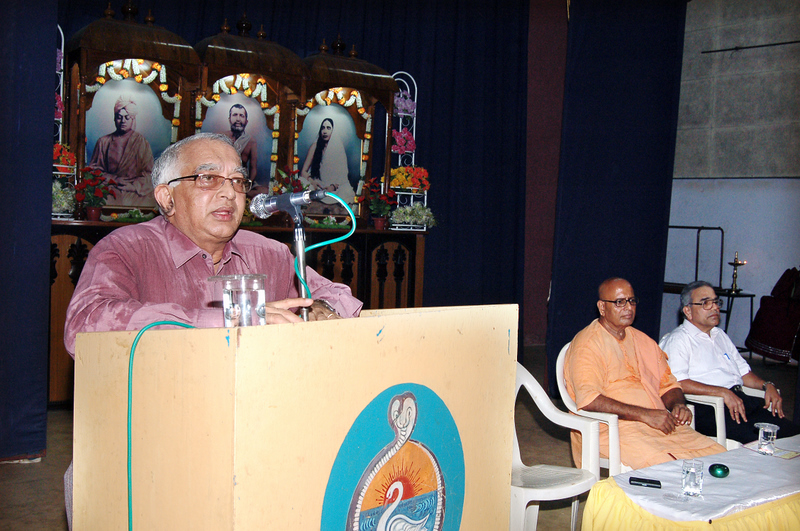 We are organising Antaryoga – One Day Spiritual Retreat (in Kannada) for the devotees on 9th August 2013,Sunday. Please register on or before 6th August 2013. H.H. 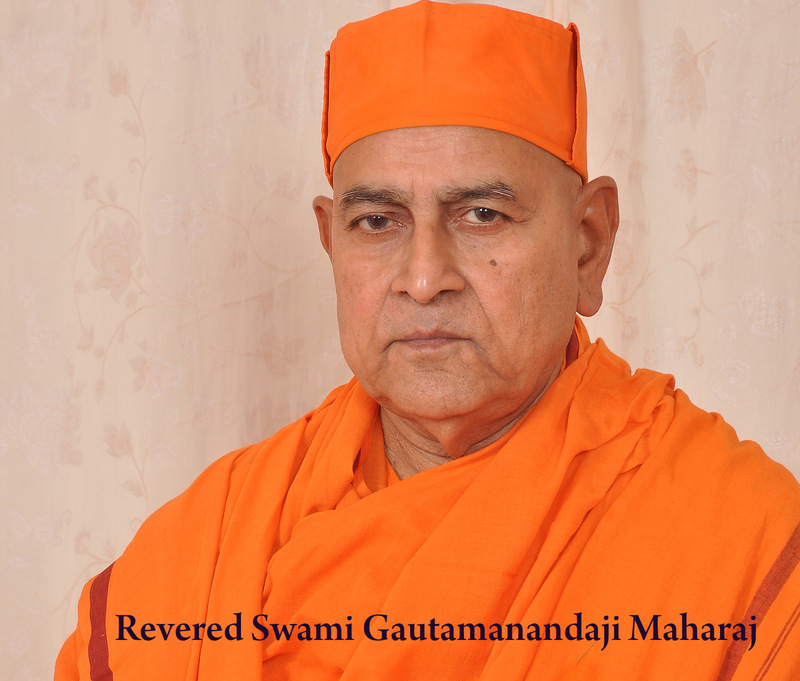 Srimat Swami Gautamanandaji Maharaj (Adhyaksha, Ramakrishna Math, Chennai and Senior Trustee, Ramakrishna Math & Mission, Belur Math) will be visiting Mangalore from 8th August to 11th August 2013. 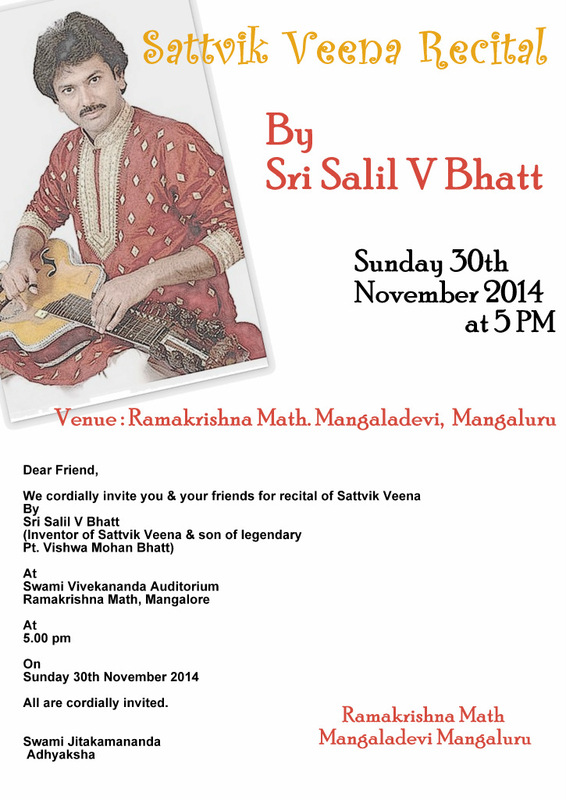 During his stay here he will be meeting the devotees from 5.00 pm to 6.00 pm. 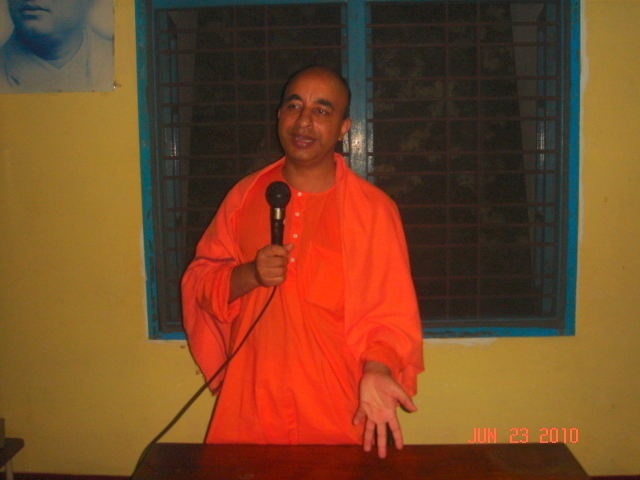 He will also be blessing the spiritual seekers with Initiation (Mantra Deeksha) on the 10th August. 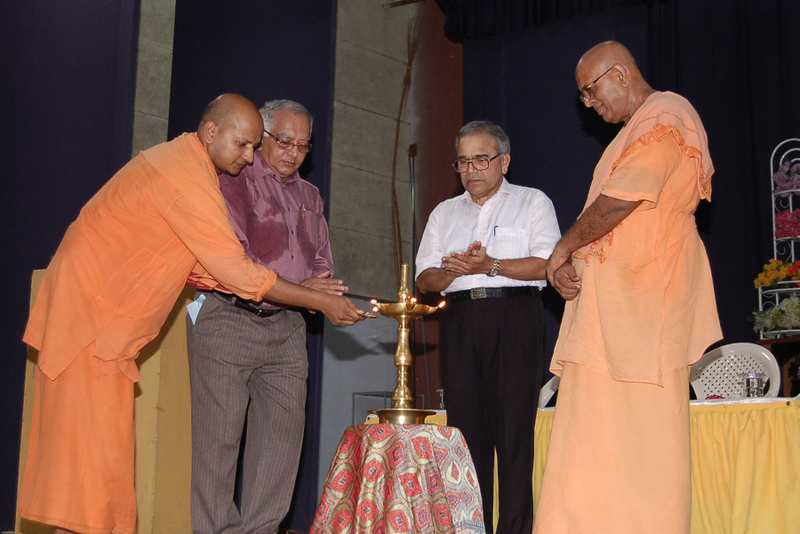 Interested aspirants are requested to contact Ashrama office (Ph: 0824-2414412) for more details. 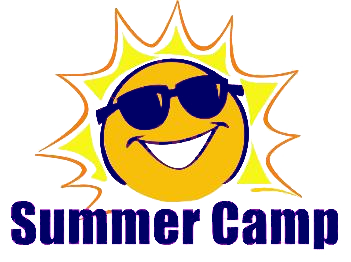 With lots of fun n funda children wil Play n Learn during the camp. 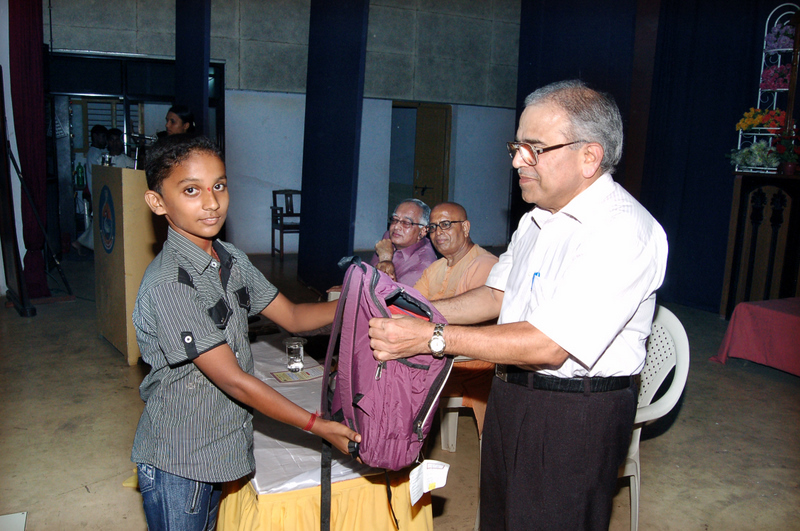 Please join hands with us and send the children around Mangalore for this camp.